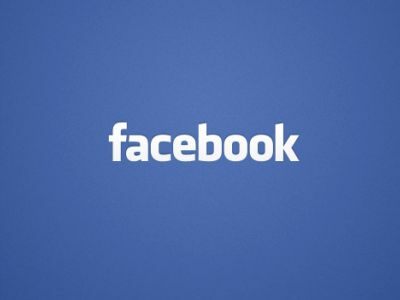 Facebook Inc (NASDAQ:FB) is working on Moneypenny, a virtual assistant, that facilitates placing of orders and seek help in research from real people through its messenger. It will be more useful and effective if the company could combine Moneypenny with the pay option of the Messenger. The social media giant is positioning the virtual assistant as a competitor to Google Inc (NASDAQ:GOOGL)’s Now. The company has taken the name Moneypenny from the helpful assistant of James Bond. Unlike other apps, Moneypenny will be powered by real people. The virtual assistant helps the people to buy flight tickets and groceries at any time of the day with the help of real humans. This innovative idea will help people to complete the tasks online. Other personal assistants like Google Now, Apple Inc. (NASDAQ:AAPL) Siri and Microsoft Corporation (NASDAQ:MSFT) Cortana are only partly effective. Facebook Moneypenny will revolutionize the online space involving the real humans. The company after separating the messenger from its main stream has been working on to add more functionality. The company is putting in considerable efforts to transform the Messenger as a shopping tool than just the texting app. The U.S. Startup – Magic allows placing the orders through SMS for things like booking flight tickets 24 hours a day. Other competitors in this space include GoButler and Operator. Though, the launch date is not announced for the Moneypenny, the messenger of the Facebook Inc (NASDAQ:FB) is being transformed to compete with contenders in Asia like the Line and WeChat. The company is conducting feasibility tests on Moneypenny with the help of its own employees. The recent additions to the Facebook Messenger include Payment Service and Video Calling facility. Facebook has also unveiled web version of the messenger for the desktops. It is a cakewalk for the company to develop the Moneypenny. It doesn’t need several months to develop the virtual assistant. One can order the virtual assistant to do the research to find the best HDTV and place an order online. Next articleTesla Motors Inc (NASDAQ:TSLA) Bets Big On Solar Panels And Batteries For Cheaper Electricity In The U.S.